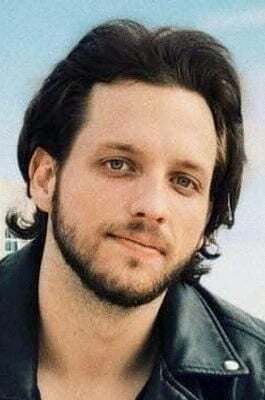 Kyle Justin Yorlets, 24, son of Larry and Debra (Reese) Yorlets of Carlisle, died Thursday, February 7, 2019 in Nashville, Tennessee. Kyle was a 2013 graduate of Carlisle High School and a 2017 graduate of Belmont University in Nashville. He was a member of the Nashville based band “Carverton”. Funeral services will begin at 11:00 a.m. on Saturday, February 16, 2019 in the Carlisle Evangelical Free Church, 290 Petersburg Rd., Carlisle. Viewings will be from 1:00 p.m. to 4:00 p.m. and 6:00 p.m. to 9:00 p.m. on Friday, February 15, 2019 in the Ewing Brothers Funeral Home, 630 S. Hanover St., Carlisle and at the church on Saturday from 9:00 a.m. until time of the service. Burial will be in Waggoner’s United Methodist Church Cemetery, Carlisle. In lieu of flowers, contributions may be made to a memorial scholarship fund in Kyle’s name that is currently being established and will be announced with the completed obituary. www.Since1853.com. Local funeral arrangements were released Monday for a Carlisle High School graduate who was shot and killed in Nashville, Tennessee, Thursday.